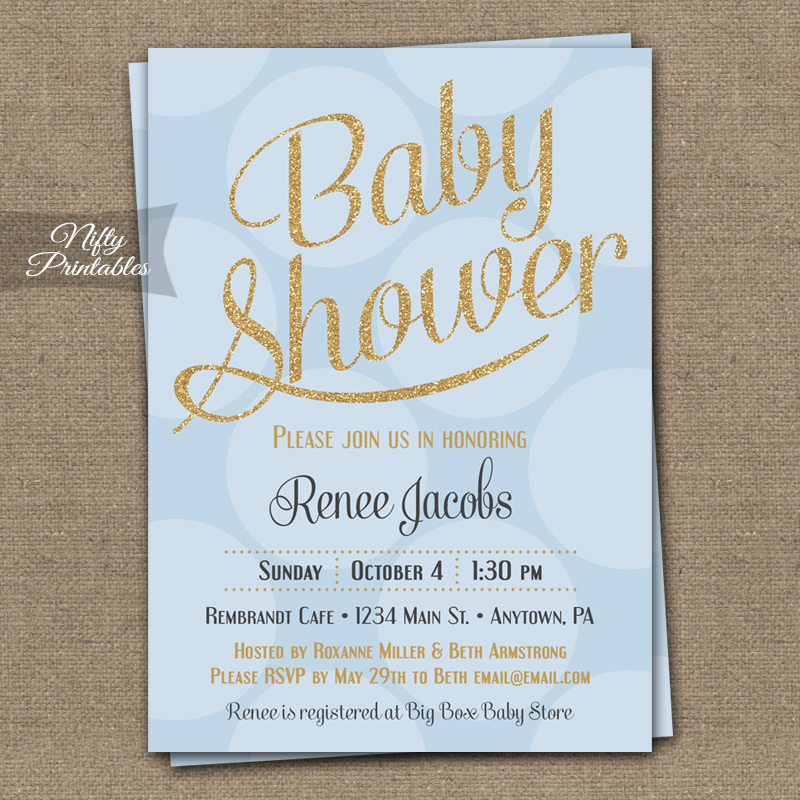 Huge light blue polka dots and gold glitter are the stars of this boy baby shower invitation. PDF: 2 per page • for home printing & walk-in printers. 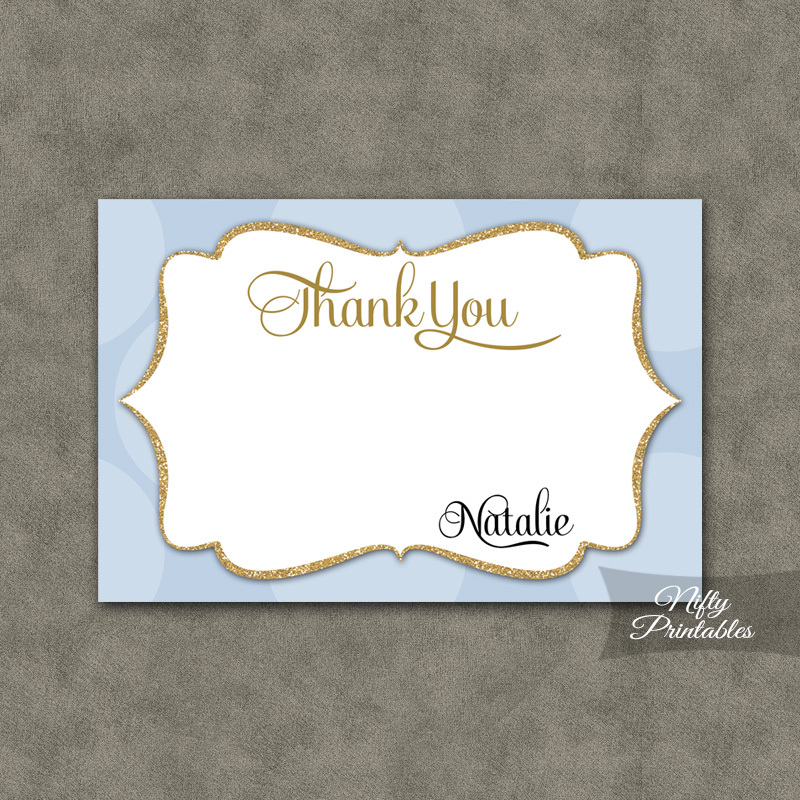 JPG: Single image • for online or photo printing places.